James Clavell's Shōgun is a modern classic, a masterpiece of historical fiction that will continue to endure for decades to come. absolutely love this book. it's certainly quite long, but I never felt any difficulty in finishing it, because it's truly thrilling to listen to! I certainly recommend this book to anyone looking for something to occupy them for a long time. if you get bored then we might not be listening to the same book! the narrator is also great, even if his women are very silly sounding. he has distinct accents and voices for each character, and astoundingly, did not seem to get them mixed up even once in over 50 hours. kudos to him! I enjoyed the narration, story, characters. My favorite part was the elderly gardener burying the rotting pheasant and the ensuing drama. 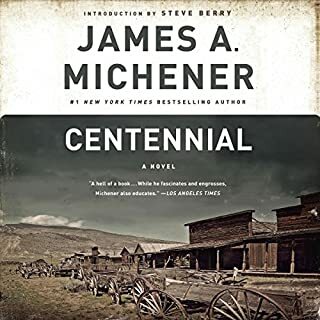 This was a long listen and hours of pervasive impingement on my thought process such that I was addressing co-workers with -san and bowing to people in the hallway, as well as trying to drink from an empty cup-- but I found it an enjoyable and educational time. I first read Shogun about one year after it was originally released, in 1975. 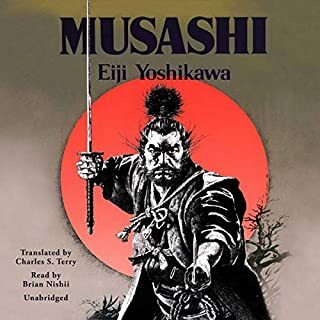 I was studying karate at the time (and for many years thereafter) and wanted to know as much as I could about Bushido. Bushidō (武士道? ), literally "the way of the warrior", or the way of the samurai. I was taught much about the way of the combatant in the book, but that was merely a setting for the real voyage that the story takes you upon. The book was a constant weighing between cultures – Western European versus Japanese. The complexity of the story’s plot was there merely to present each culture’s élan or perhaps moral underpinnings. The purpose was to give you the reader the opportunity to determine who were the barbarians. The Westerners or the Japanese of the 1600s. I’ll give you a hint as to the author’s conclusion – one society bathed constantly the other – well perhaps never at all. The book does manage ones considerations of who was the beast very well. The tale itself is about competition between two daimyos or Lords, and each’s competitive efforts to rise to the Shogunate; the all-powerful Lord who would be “effectively” the king but for the existence of the emperor. The emperor though, is only a god on earth to be provided for by the Shogunate. 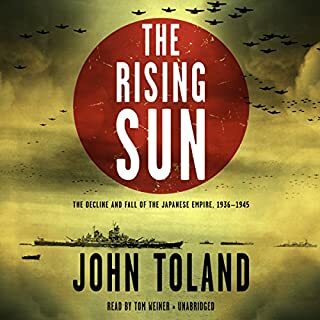 The story is seen through the eyes of an English sailor John Blackthorne, (sailing on behalf of the Dutch) who, after wrecking into the Japanese islands unintentionally takes on Japanese ways and name of Anjin ( a seafaring navigator or"Pilot"). The Anjin becomes Japanese, but not by intent – merely by the drift of life. One of the Lords, Torenaga, manages the Anjin as an asset in the scheming and strategizing to move society in favor of his goal to be the Shogun. Watching Torenaga scheme is the most wonderful part of the book. Of course, there is a grand love affair to assist the Anjin-san in his drift into the Japanese way. The book is enchanting and a wonderful read or listen to and well worth one’s time but – but – but for the reader, Ralph Lister. Mr. Lister reads the story very well. I do not understand though when speaking on behalf of the Anjin-san, he finds it necessary to change to a loud boisterous ignorant rage. He has the Ajin speaking stupidly throughout. I read the book in the 1970s thinking of all in soft consideration. The story was much better that way. Yet, this is still a very worthwhile endeavor. In fact, everything James Clavell wrote was magnificent as a story and study of Oriental beings and their ways. 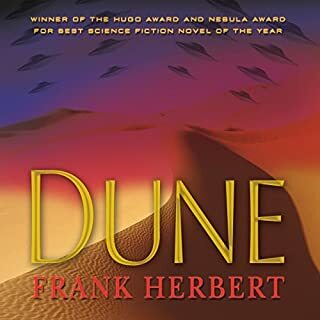 Glad to see Audible is going to finally have his works in its library. 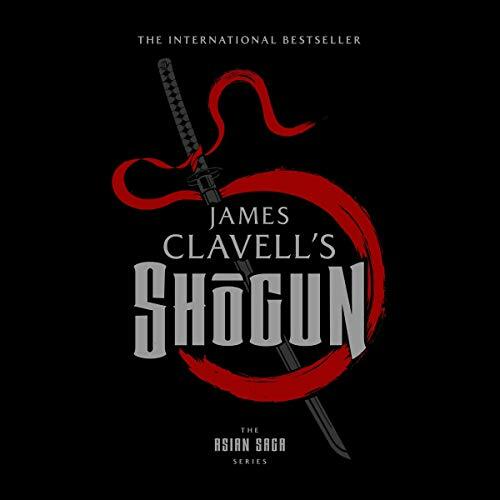 Shogun and really all the novels in Clavell's Asian series has to be the most fascinating historical fiction in modern literature. Unfortunately for movie buffs, a few weak efforts in miniseries in the 70's were attempted to capture the brilliance of each story. If HBO took it on, Ive no doubt it would rival the Sopranos in viewership. The story revolves around a shipwrecked British sailor who is drawn into the intrigue of the Samarai culture. For me, the clash of cultures and ways of life at that point in history are what fascinates me the most. Ralph Lister did a good job with narration. This book was a huge best seller years back for good reason. Its a one of a kind story. 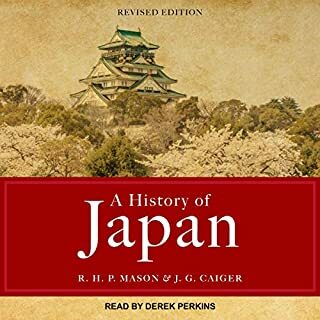 Where does Shogun rank among all the audiobooks you’ve listened to so far? 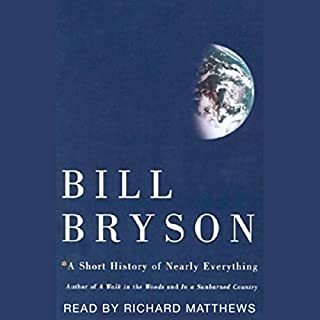 Not just audiobook, but the book itself is one of my all time favorites. This is one of the books that I pick up anytime and just start reading anywhere in the book. What's not to like about this story? It's one of the all time greats! He's not the last guy they had perform this (he was truly horrible and ruined the book). Once I saw that Shogun had been redone, I listened to the sample and instantly re-purchased it. This is one of those books that will have you reading til the wee hours of the morning. Then you realize that you have to be up in two hours for work. Then during work, your digesting what you read just a few short hours ago and trying to figure out how you can squeeze just a few minutes more of it during the day. Thank you for re-recording one of the greats, it truly needed it!!! This is the only novel that I have read three times, and will likely read it one more time before I die. It is the standard by which I measure all other historical fiction. Shogun is truly an excellent book filled with with huge characters, an amazing plot with numerous riveting subplots, that are punctuated by fascinating history and a never ending patchwork of human intrigue. This book should be on everyone's "must read" list. I enjoyed the rich plot and character development. The narrator deserves special recognition. Ralph Lister did an amazing job. He really brought the story to life. The story is broad and immersive however the recording quality/narration leaves much to be desired. The narrators' voice drops out at the end of a long sentence. Often I cannot even hear the last word or two. It is as if someone turns the volume down. I don't know if it is the narrators' habit or poor mixing. My guess is on the latter. It is really driving me crazy especially if I am in the car since my Bluetooth turns the volume down on my audio a second or two before my phone rings. I keep expecting a call but there is none. It is just the terrible recording. That said the story is great. I am going to rent the DVDs from Netflix someday and see if the miniseries was close to the book. What did you like best about Shogun? What did you like least? I love this story (and all of Clavell's work) and have read the book over many times. I own the full miniseries and enjoy it, too. What didn’t you like about Ralph Lister’s performance? This performance, however, is frustrating to listen to. The last word or two of EVERY sentence is in "down-speak" and mumbled. Even almost knowing the book by memory, I can't catch the last word of each sentence. I gave up after 3 chapters... It's a shame because the story is so moving. I won't be listening to any of Lister's other performances. I could not listen to the jarring “ effects” of the narrator . It just sounded silly , shame as this is such a good book .